Happy October! The mornings are getting cooler, the nights are getting dark to quickly… fall is really here and I have no idea what happened to September. Since September slipped away without me noticing, I have a feeling October might go equally as fast and then… Its my favorite holiday… Thanksgiving! 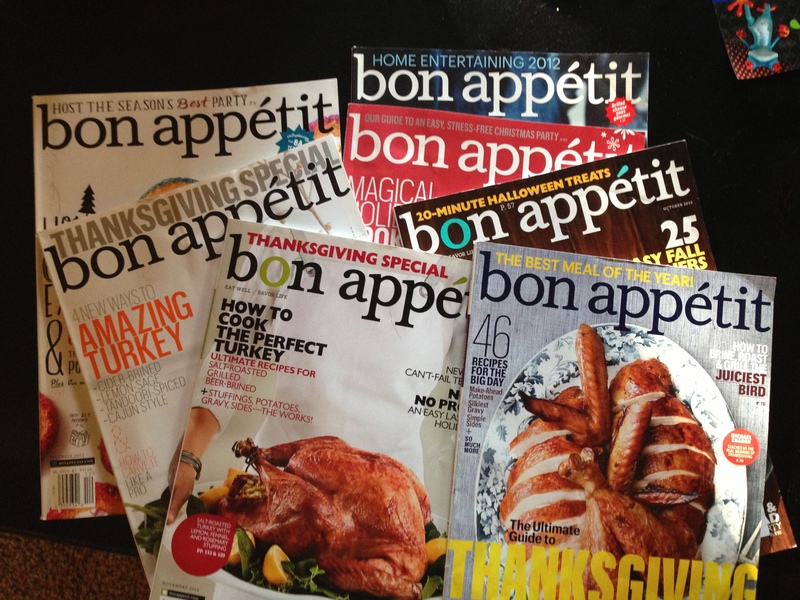 Which is why I’ve decided to dedicate the month of October to “Thanksgiving Menu Prep.” It’s time to pull out my collection of old Bon Appetit Thanksgiving issues, family recipes and classic Thanksgiving traditions, to find the best recipes for your Thanksgiving table. This year don’t showing up at your Thanksgiving feast with plain mashed potatoes and green bean casserole. It’s time to jazz up your menu with some fun, different and most importantly DELICIOUS dishes! This recipe for Harvest Pie from Morning Glory Farm on Martha’s Vineyard is one of my mother’s favorite holiday desserts. The flavors and spices of the pie are the definition of fall and the holiday season. The tartness of the cranberries balances the sweetness of the apples and raisins making for a truly awesome but not too sweet dessert. If you’re ready to mix up the dessert table from the plain (and over done) apple and pumpkin pies, this is your recipe! Top this pie with a dollop of fresh whipped cream or serve it a la mode. The original recipe calls for a streusel topping however, I prefer the recipe with a lattice pie crust which doesn’t overpower the fresh fruit with too much ‘stuff’. To make this pie super easy you can use Pillsbury pie dough from the dairy section of your grocery store (when in a hurry I cheat and use this… no one will ever know! ), or if you’re feeling ambitious make your own dough. Streusel topping, classic crust or lattice top this pie will become your new favorite holiday dessert too! Enjoy! Preheat oven to 425 degrees. 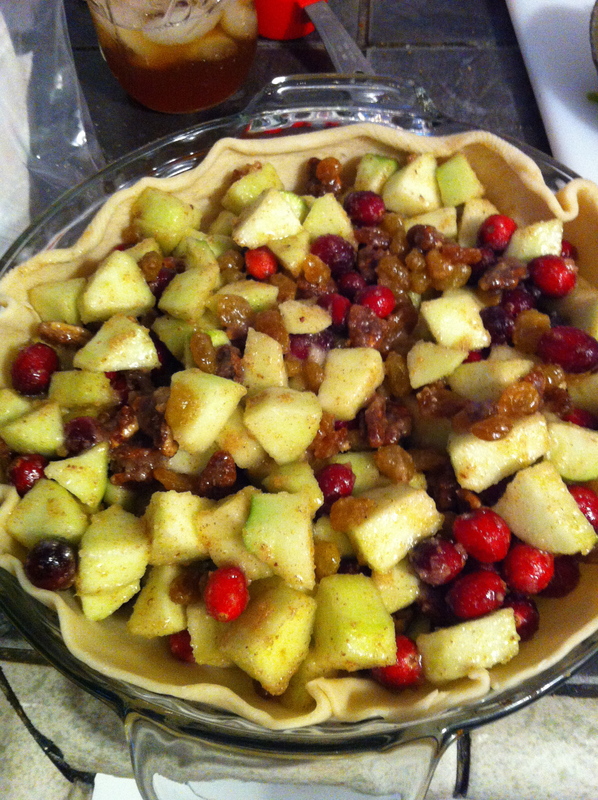 Prepare piecrust or streusel topping (below). Mix all ingredients in a large bowl, stirring until well blended. Pour into prepared piecrust. 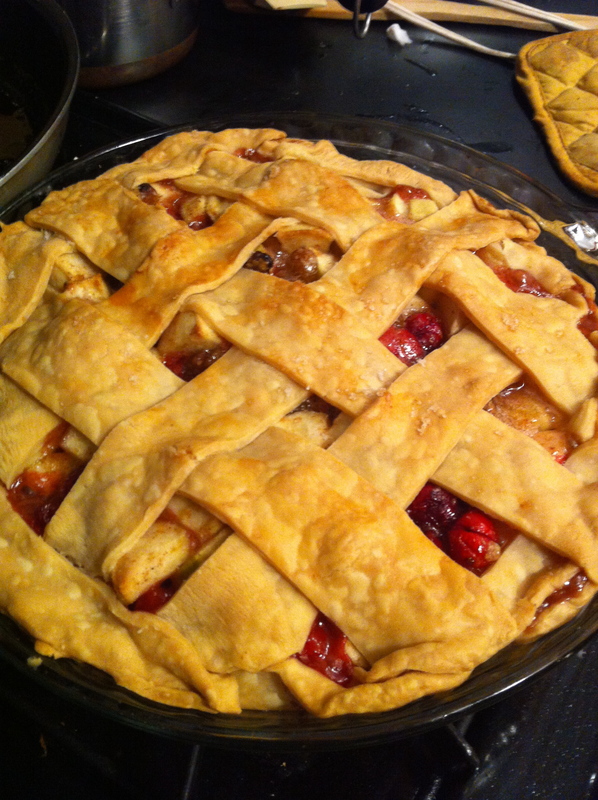 Top with streusel topping or lattice piecrust. 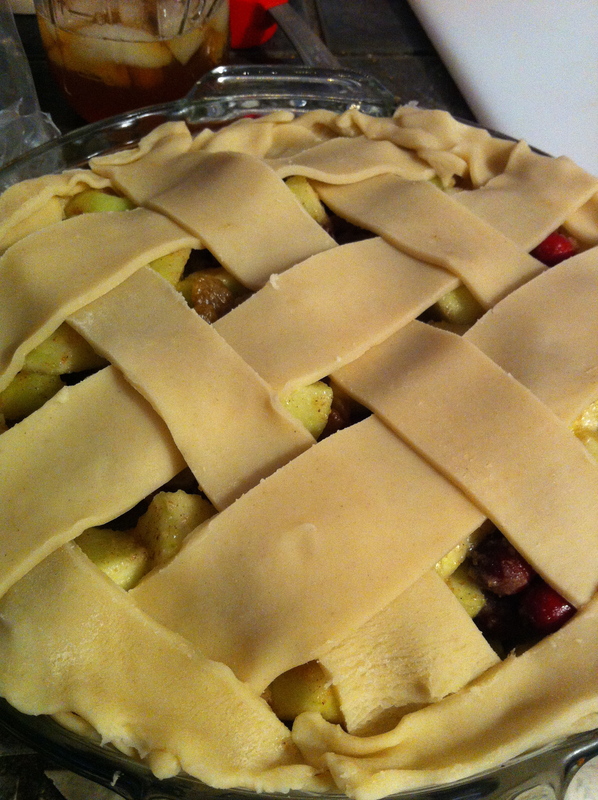 Place pie in oven and immediately reduce temperature to 350 degrees. Bake until the apples are tender and the crumb or crust is golden brown. 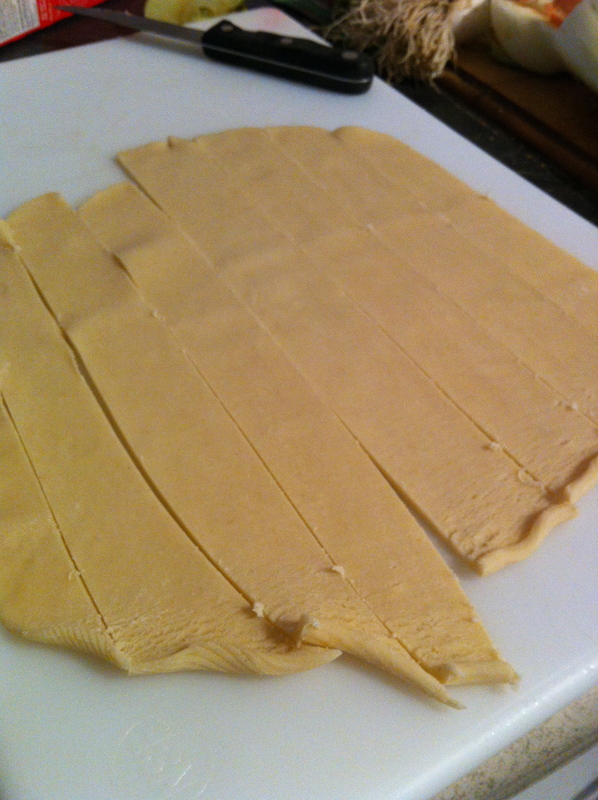 Pastry Dough (Makes two 9-inch piecrusts) This pastry dough freezes well and will work with any pie! Sift flour. Cut shortening and butter into flour with pastry blender or fingers until mixture has the consistency of small peas. Add ice water and blend just until dough holds together. Divide the dough into two pieces; if you are doing the streusel topping store one for later use. Turn the dough onto a floured surface and roll out into a 10-inch circle. Place dough in pie plate and crimp as desired. Mix dry ingredients, then fold in melted butter, stirring until it clumps. Sprinkle evenly on top of pie. This entry was posted in Baked Goods, Desserts, Family Favorites, Holiday Dishes, Recipes and tagged Apples, Cranberries, Harvest Pie, Morning Glory Farm, Thanksgiving desserts by skibootsinthekitchen. Bookmark the permalink.